A good skincare routine should consist of regular cleansing, exfoliating, toning and moisturizing. That will keep your skin looking clear and healthy, reducing blemishes as much as possible. However, sometimes you need professional treatments in order to get it looking its best. When you’re looking for such a treatment, you may be confused by the abundance of misinformation that’s out there. Here are the most common misconceptions you’ll come across. 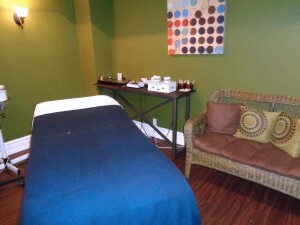 Read on to find out the truth about the different facial treatments you can get in Midtown Toronto. Vitamin E Reduces Scarring – Vitamin E is a nourishing anti-oxidant which is used in various skin treatments. 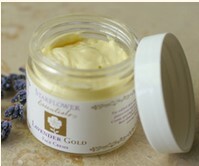 It’s widely used for its ability to build and replenish the skin. However, some treatments claim that it is also able to reduce scarring. Unfortunately, this isn’t true. To reduce or eliminate scarring, laser treatments are usually the most effective method. Creams Can Be Used to Replace Collagen – Collagen is the structural protein that gives skin its firmness and elasticity. It depletes over time, causing skin to sag and wrinkle. As women age, they often seek to replenish this collagen using anti-aging creams. While some of these creams do contain collagen, simply applying it topically won’t have the required benefits. Instead, collagen needs to be administered through clinical treatments, such as injections. When Using Micro Needling, Bleeding is a Good Sign –During this process, tiny needles puncture the top layer of the skin in order to trigger collagen and elastin production. It’s normal for some bleeding to occur during micro needling. However, it shouldn’t be excessive. More bleeding won’t increase collagen induction or give better results. In fact, all it will do is increase your recovery time. The Best Treatments are Pain-Free – Ideally, all treatments would be pain-free. However, when you’re looking to achieve the best results, enduring a little discomfort is part of the process. To keep it at a minimum, only visit clinics staffed by qualified and experienced beauticians and technical specialists. Regular Treatments are Always Required – The amount and frequency of treatments you should book will depend on what type of treatment you’re having, as well as your specific skin issues. Of course, severe acne and significant scarring will require a longer, more intensive treatment program. However, some treatments can be given once every few months, or even once a year. Antioxidants Reverse Wrinkles – Antioxidants have lots of benefits for the skin. They limit the production of free radicals, therefore preventing damage to skin cells and keeping skin looking healthier and younger for longer. However, claims that they can eliminate wrinkles that have already developed are false. 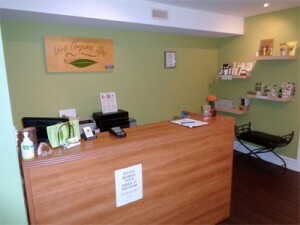 Urb Organic spa offers facials, micro needling, non-surgical face lifts, peels, and oxygen infusion therapy. These treatments will give your skin a healthy glow, reversing damage and restoring it to its natural beauty. 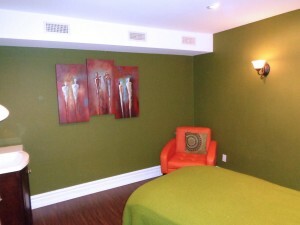 To book yourself a facial treatment in Midtown Toronto, call us on 647-344-7451. Do Oxygen Facial Treatments Really Work? Believe it or not one of the driving forces behind the recent popularity of oxygen facials is celebrity culture. With an increasing number of people buying HD and ultra-HD TVs those already image conscious celebrities are beginning to worry that their skin isn’t going to hold up to all that intense digital scrutiny. In their search for the ultimate in smooth skin a number of them (most notably Madonna) have latched on to the oxygen facial. As is the case with many things what’s hot in Hollywood soon becomes hot with the general public. But while that’s all well and good the bigger issue raised by the popularity of oxygen facials is this: “Do they work?” We’re here to take a look. Getting an Oxygen Facial in Toronto: Is It Worth It? 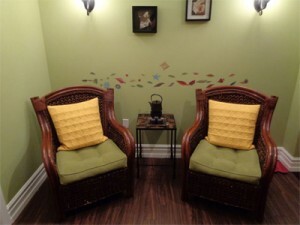 Here is what you can typically expect during an oxygen facial in Toronto. Exfoliation – The oxygen treatment can’t begin until the skin has been properly exfoliated and all excess oils and dirt are removed. Once that is done the clinician uses a specially built machine to introduce oxygen directly into your pores. Infusion – The oxygen infused into your skin by the machine is typically treated with one of several different supplements intended to help rejuvenate the skin. 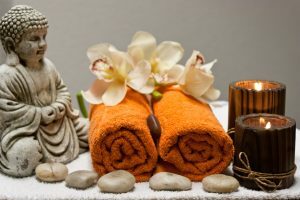 The exact menu of supplements will often change from spa to spa. The key ingredient is hyaluronic acid which binds with moisture and gives your skin a firmer, healthier appearance. Application of serums – Once the clinician has infused your entire face they will usually apply a topical serum that’s intended to complement and boost the effectiveness of the process. 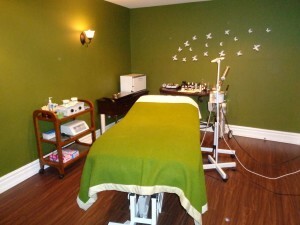 These serums will also differ depending on where you go for your oxygen facial in Toronto. Time involved – The entire process is painless and takes about an hour start to finish; perhaps a bit less depending on the individual. Side effects are rare and you are able to resume normal activity immediately following the procedure. The $64,000 question. The short answer is “Yes”. Most everyone who undergoes an oxygen facial will see real world results and enjoy real benefits including smoother looking, firmer skin and in some cases a reduction in the prominence of acne scars and other blemishes. You will likely be surprised at how effective the procedure is and how much better you look after just one treatment. If there is a downside it’s that results are not permanent and will begin to fade a week or two after the procedure. So while there are a number of quantifiable benefits to having an oxygen facial it’s not a miracle treatment that will permanently restore a youthful lustre to your skin and it’s no substitute for a solid skin care routine. Call Urb Organic Spa today on 647-344-7451 to set up an appointment to talk to one of our clinicians about the many benefits of having an oxygen facial in Toronto. We’re here to answer all your questions and address any concerns you many have about this breakthrough facial treatment. We know that facials are good for the skin, but what is really happening during a facial? Each step serves a different purpose and a skilled esthetician or therapist will know the best option for you after examining your skin. If you’re searching for a facial treatment in midtown Toronto, you may be curious about what will be happening to your skin during your visit. Each step of a facial is beneficial to the skin, and each step is performed with the others in mind. The points below illustrate what is happening to the skin during a facial. Steam Cleanse: Most facials begin with applying steam to the face. This step helps prepare the skin for absorption of the ingredients used in the mask or peel. Steam softens the skin and prepares any whiteheads or blackheads for extraction. Steam also improves circulation of blood under the skin which promotes the rejuvenation of cells. Exfoliation: One of the primary ways a facial benefits the skin is to exfoliate on a deeper level than can be achieved at home. A therapist or esthetician will be able to determine which technique best suits your skin. Exfoliation occurs when dead skin cells are removed and new cells are revealed. During a facial this is achieved primarily through the use of a mask or peel. This process smooths the texture of the skin, hydrates, and helps improve the appearance of lines or wrinkles. 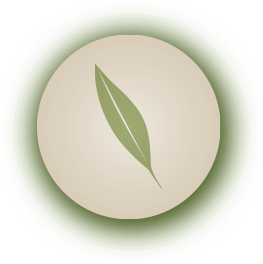 Detoxification: We may not realize it, but toxins are constantly building up in our body. During a facial, massage techniques are applied to the lymphatic system of the face. This releases toxins that have built up under the skin and helps improve blood circulation. Steam along with the mask or peel applied to the face also aid in circulation and detoxification. Extractions: During a facial, your therapist or esthetician may need to perform extractions in order to remove whiteheads or blackheads, also called comedones. They will most likely use steam to loosen the congestion and open pores so they can effectively perform the extractions, making sure no additional dirt or oils are pushed back into the pores. A deep pore cleansing may occur after extractions, which ensures that pores are unclogged and the skin is hydrated. Moisturizing: The last step of a facial usually includes the application of a moisturizer, serum, or sunscreen. This works to keep the new cells hydrated and protected. Your esthetician can advise you on further care that needs to happen on a daily basis at home after your facial treatment in midtown Toronto. Our skin is a very important. Unfortunately many people don’t take the proper care to ensure healthy skin. If you’re concerned with the condition of your face, you may need to speak to an esthetician to find out if you could benefit from a facial treatment. 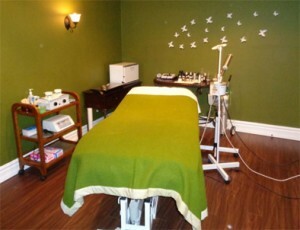 Midtown Toronto estheticians at Urb Organic Spa can help answer any questions you may have. Call today at 647- 344-7451.